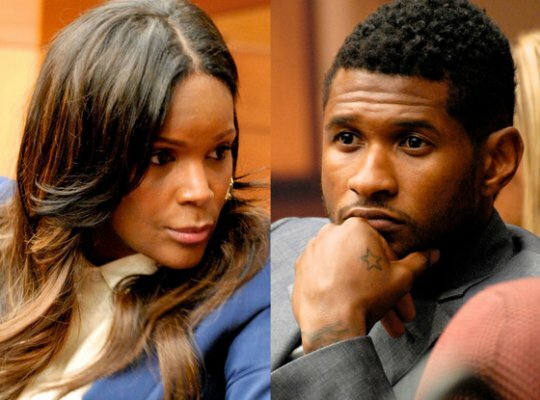 Okay Usher and his wife have continued their battle in the public eye. I for one don't like getting in peoples real personal matters, but these two have smeared their business all over the media, so I figured I would comment. The recent developments are that the house Tameka ( the ex wife ) is living in belongs to Usher ( most naturally) and he has decided to sell the house, he originally bought it for 3 mil and has listed it as 3.2 mil, well what the hell she expect you live in his home and then have the nerve to take him to court to take custody of his sons away from him. Really? I think some females don't think before they act, we all know it's obvious men don't think or Usher would have never married this old A** broke chic in the beginning. Oh, and Usher your not off the hook you were under investigation for a conflict of interest with the Judge during your custody battle then you go and skip the voting line in Fulton County ( after people waited that long) seriously why you couldn't vote early. Swizz Beatz one of our favs have been having legal battles this year first with the music download issue and now taxes ( my advice you don't want no problem with the IRS, just pay them). Apparently Swizz has a lean on him from NY State for unpaid taxes in 2010 and the feds have joined the party filing a lien against him for 2.6 mil. We wish you luck bro.